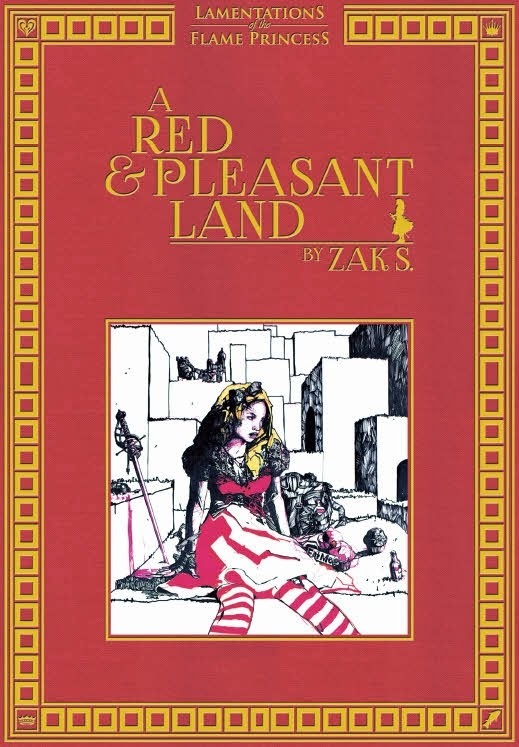 I picked up a copy of +Zak Smith's "A Red & Pleasant Land" on PDF recently. I like enough to also pick it up in dead tree version as a post-Christmas present for myself (35.75€ or about $45). I want to say off the bat that when I heard Zak was doing an Alice in Wonderland-ish sort of adventure my expectations were high, but guarded. I have seen Alice done a number of bad ways; mostly ones that relied on a one to one translation between story to game. That is all well and good, but ends up robbing the story of what makes it good and ends up short-changing the player's experience in the game. To be blunt, it's not a D&D adventure. I had reasonable assurances that this would not happen here, I didn't know what sort of thing we would end up with. Also, and I have admitted this many times, I am not a fan of Lamentations of the Flame Princess. But I can say that LotFP and James Raggi do have an amazing art vision and the budget to match and it seems (to me any way) that James leaves people the hell alone and lets them create. You saw that in Zak's last work Vornheim, you can see it Rafel Chandler's "No Salvation for Witches", and you can see it this book as well. 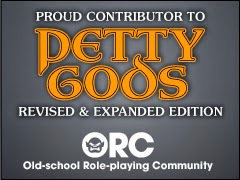 While the LotFP rules are in mind when this was made, you can either run it with all the free rules that James gives away for free (another credit to him) or use whatever rules you want. This is important to me and I will talk about it more later on. So what *is* A Red & Pleasant Land? Overtly it is an adventure, in the broadest sense. 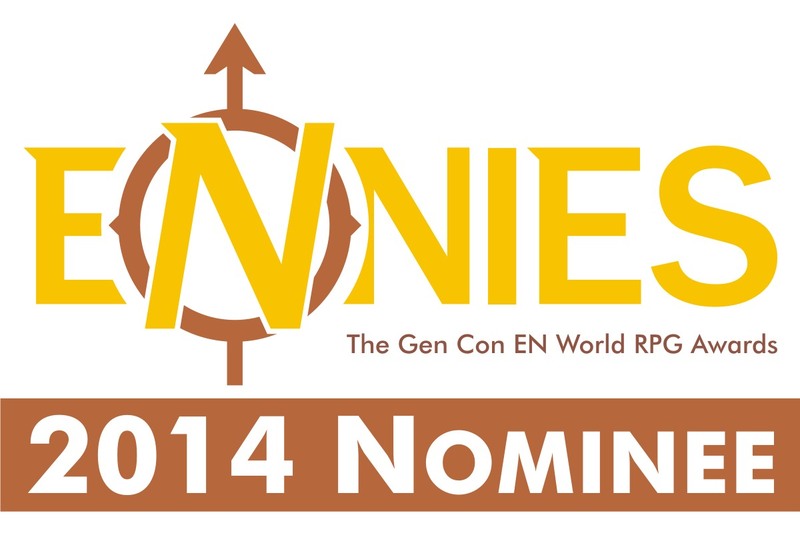 It can also be a campaign guide to a strange new land (or world). Breaking it down to it's atomic elements it is Vampiric court intrigue with the cast of Dracula, Elizabeth Bathory and Alice. But that is like saying that putting salt on your meal is the same as putting Sodium and Chloride on your steak and trying to eat it. Let me instead start on the outside and work my way in. This book is gorgeous. It really is. If you have Vornheim or spent anytime on Zak's blog then you have an idea of what you will be looking at, but that is not quite it either. The art comes just this side of reality short of being phantasmagorical. Just slightly out of sync with what you should be seeing. This is intentional since that is also the feeling of the adventure/text itself. (I am going to keep calling this an adventure since that is the easiest translation). Honestly, get this bound in red with gold trim and it would be a book better suited for a coffee table rather than a gaming table. I don't mean that derisively, I mean that in open honesty. If the art is fantastic then the maps are amazing. I love all sorts of old-school maps and I love a lot of different styles. But these again are very evocative of the setting. The other thing is this adventure is big. While the form factor is small, the book has 197 pages. There is a lot here. Zak suggests that you can use parts of this book or the whole. I will add that if you opt for the parts alternative then there is absolutely something in this book you can use. Working in, the adventure and background are all woven together in such a way that it is all familiar and yet new at the same time. It's like returning to a place you have been years and years later. Except when you were at the place back then you were on LSD the entire time. You memories of it have not faded per se but are warped. This is like that but now your memories are perfect and the reality is warped. This actually touches on the first issue I have with running this adventure. Now by "I" I mean just that. Me. Not extrapolating it to anywhere else. I don't think I could run this as a D&D adventure for my group. To be blunt about it my kids (which is my group) don't yet know enough about Dracula, Alice or any of the other elements in this to make it worthwhile. This is an adventure for older, wiser and maybe even a little bit jaded players. This adventure needs to be played by people that have tried to play Dungeonland and found it lacking. You are going to need the right group for this adventure. The book it totally worth getting just to look at, read or steal ideas from, but if you are going to run it then you need to take stock of your own group and make sure it works for them. If your group is more of the "kick in the door, kill the monster, get the gold, move to next door" type then this will only have some utility for you. That is fine there are plenty of fun adventures for those groups. I suppose that if you have read "A Midsummer's Night Dream" and thought to yourself that it would make a great adventure of intrigue then this one might work for you. 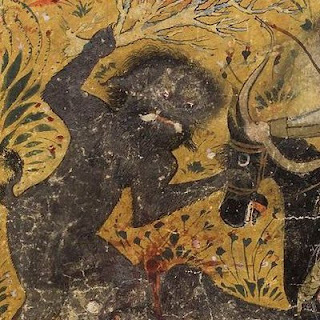 As point of reference, duels are covered as being something that can be deadly. And so are Banquets. Again some people will scratch their heads on this but I can think of at least three players off the top of my head right now that would totally run with this idea. It is a prime example of Zak making things he wants to play and if you like it you can come along too. "Alices forever find themselves falling into cursed rabbit holes, accidentally killing witches, having their halfbrothers stolen by goblin kings, being willed magic rings, finding demons inserted in their chests or having armored knights ride through their homes at bedtime. Obscure gods, however, sympathize with them (they are often born to powerful families), and an Alice is a boon to any adventuring party. Some Alices wear striped stockings, some Alistairs wear pointed shoes." - AR&PL, p. 30. I love that image. In my games I have called these types of characters Dorothies. The Exasperation Table really makes this character shine and makes it something unique. The land itself, Voivodja, is in the truest sense of the word a nightmarescape. It's not that it is just horrific, there is more. The best nightmares lull you into a false sense of hope or familiarity. You think you know what this is all about, but you don't. The land is big, densely packed and old. Very old. The main feature (well, to me anyway) is the intrigue between the Vampire Courts and the potential of what you can do with those. Think about it really. Ancient, decedent vampire royalty fighting protracted war. Sure. We did all that in the 90s with Vampire the Masquerade; but this is yet another new take on that. The monster/NPC section is great. So many ideas. If you are going to smorgasbord this book then start here. There are unique vampire nobles and strange animals, so really enough to keep characters of any level busy. That's misleading...I personally think the vampire nobles in this book work better as non-combatants. Their job is not to be sullied with the likes of mere adventurers. But engaging them in courtly battles. That's where they shine. Really, this is one of the first adventures where a battle of wits to the death (!) is not only likely, but likely to happen before breakfast. We end this book with more random tables that you could (or should maybe) ever use. 30 pages worth. So there are a lot of reasons to buy this book. The only one that matters though is do you have the right kind of group for it? If any of these ideas appeal to you then get it. If you are unsure, well I am sure there is something here to make it worth your time and money. Personally I want to give it a go under Ghosts of Albion. In any case I think it is a solid hit. The thing about Zac is his stuff rarely fits into the kind of campaign i run but it never fails to start a few creative ideas going. He is sort of a twisted muse. I recently finished reading Alice to my kids earlier this year, so the weirdness of the setting seems compelling. I can't wait to pick this up after the holidays.